Anxiety is something many people deal with. When we are anxious it is important to bring it to God, and when those around us are struggling we need to come alongside them with kindness. I have dealt with anxiety for much of my life. It has been one of those issues that seems to ebb and flow. The past several months have been among the most anxiety-ridden of my life. I have been allowing the weight of stress, busyness, and fear to take over. It’s made me forget who I am and Whose I am. However, I am finally learning that I need to get in front of my anxiety and not allow it to rule over my life. To throw something forcefully in a specific direction. To cast means to not only throw but to throw forcefully. This is what scripture tells us to do. To throw our anxiety forcefully in the specific direction that is Jesus. Throw it on Him. Why should we do this? BECAUSE HE CARES FOR US. This struck a chord in me. Jesus cares so much about us that He is not only willing to take on our anxiety, He is commanding us to cast it on Him. When we are anxious we can expect the Lord to console us to the point of overwhelming joy. In order to receive this joy and consolation, we have to surrender our anxiety and rest in Him. This is not in part but in whole. We can’t just give God pieces of our anxiety that are convenient to part with. We have to give Him all of it. When we do this He WILL console us so that we can have joy. We were not meant to deal with our anxiety within our own power but within God’s. When someone we know is going through a time of trial and anxiety is present in their life, we need to step up. We need to be there to offer a kind word. Whether this is encouragement, advice, or simple validation of their feelings. Our kindness can make a huge impact on their lives. During times of personal anxiety, I had people speaking truth and kindness to me. 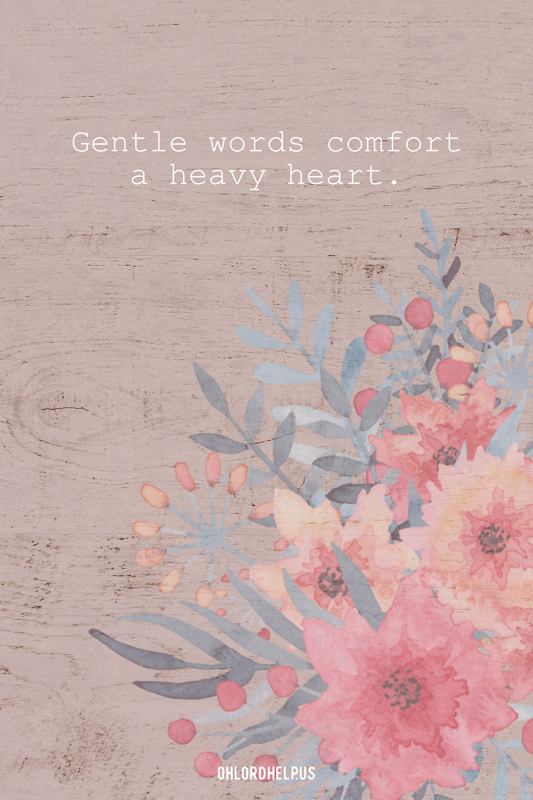 Anxiety weighs us down, but kindness has the opportunity to lift us up. So I challenge you, don’t be complacent. Check on people. 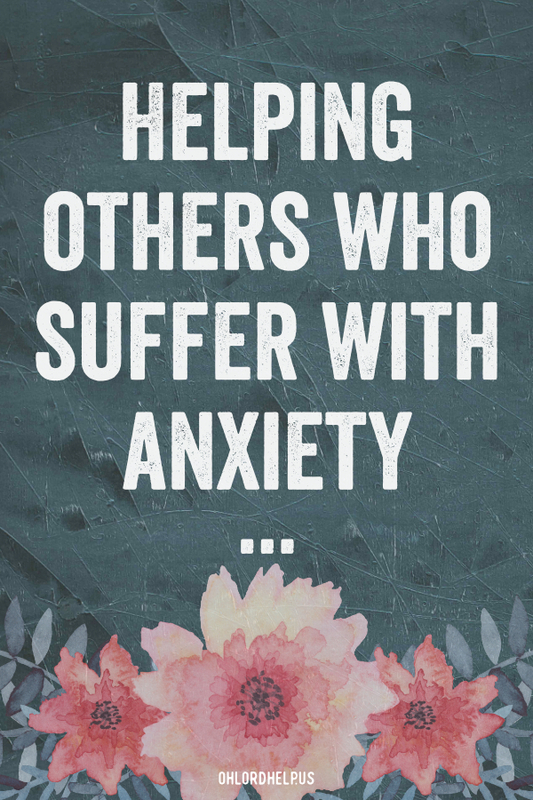 Especially if you know they struggle with anxiety. I know first hand that sometimes I am so anxious and worn down that I don’t have the capacity to grocery shop, or even pour myself a bowl of cereal. We are so quick to offer meals, words, and kindness when people have physical ailments. Imagine what would happen if we did it for the people who deal with mental health issues. Simple acts of kindness can go a long way. So check on people, offer them a kind word, maybe even meet a need in their life. You have no idea what a difference you can make when you offer kindness to cheer up the anxiety in someone’s heart.